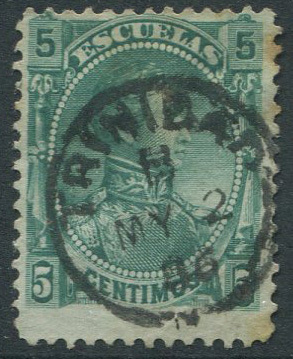 1882 Venezuela 5c Escuelas revenue stamp with TRINIDAD MY 2 06 cds. 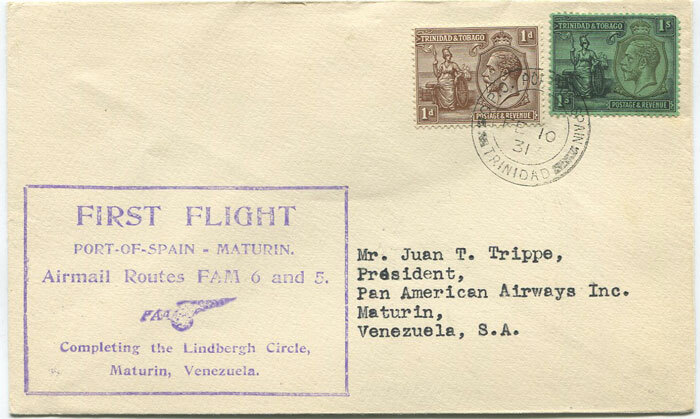 with special cachet and Maturin postmark as returned to sender. Central crease and tone spots. 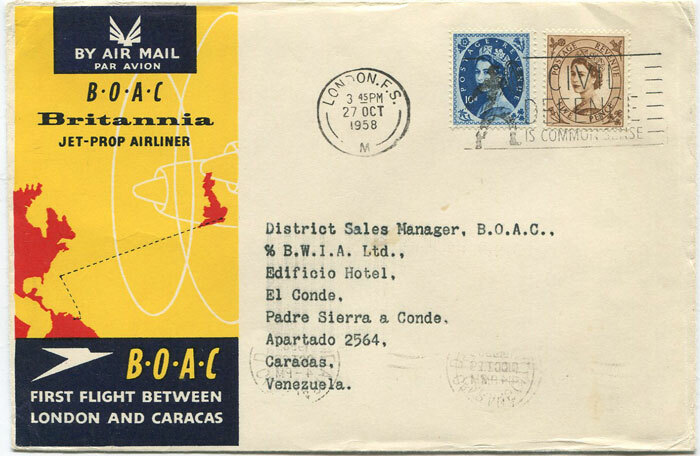 with s/l 'LA GUAYRA' destination h/s applied by C.R. 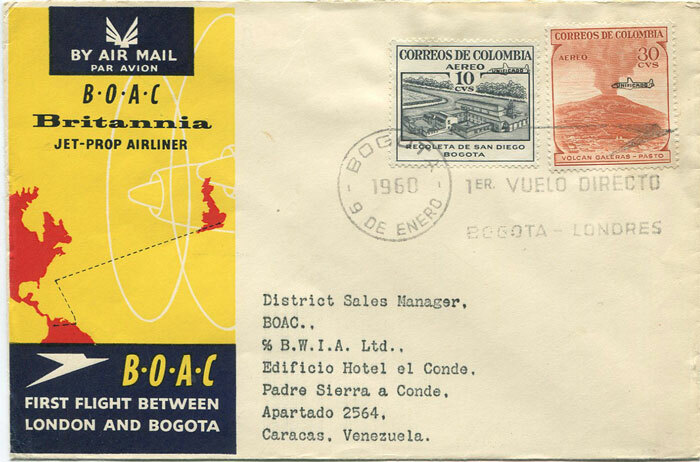 Stollmeyer. 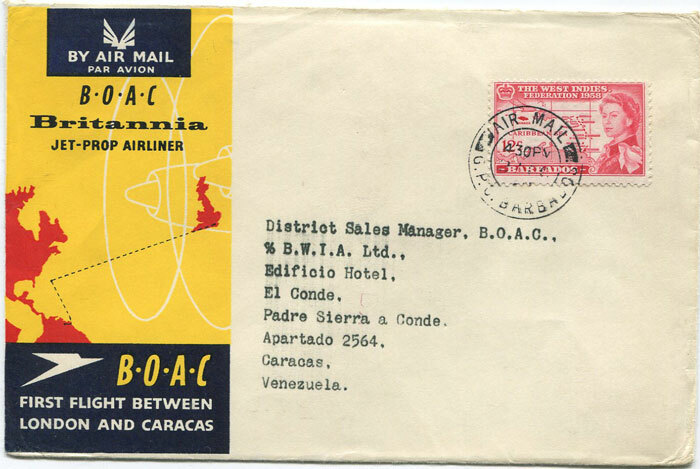 1958 (29 Oct) First Flight cover Caracas, Venezuela - Barbados per B.O.A.C. 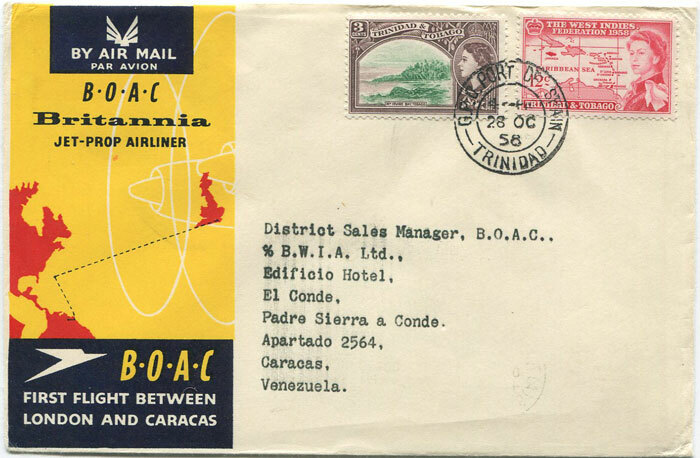 1958 (28 Oct) First Flight cover Trinidad - Venezuela per B.O.A.C. 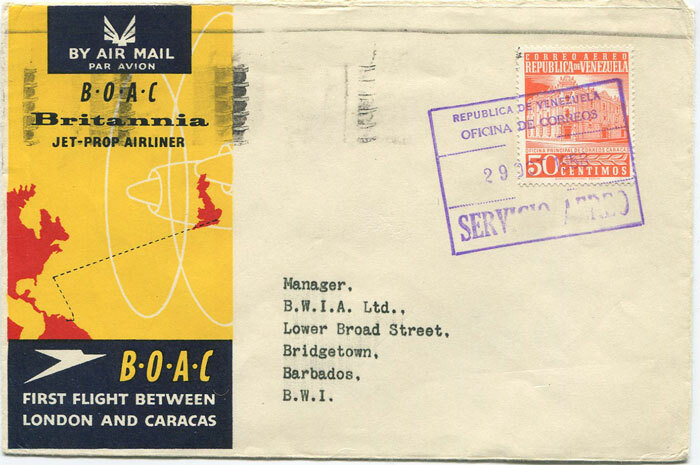 1958 (28 Oct) First Flight cover Barbados - Caracas, Venezuela per B.O.A.C. 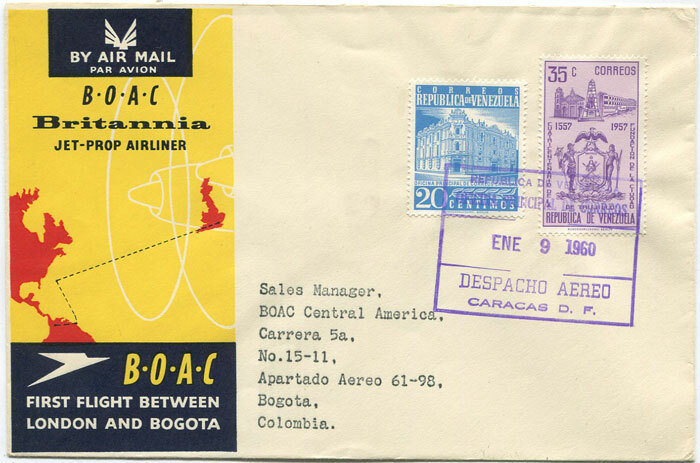 1958 (27 Oct) First Flight cover London - Caracas, Venezuela per B.O.A.C. 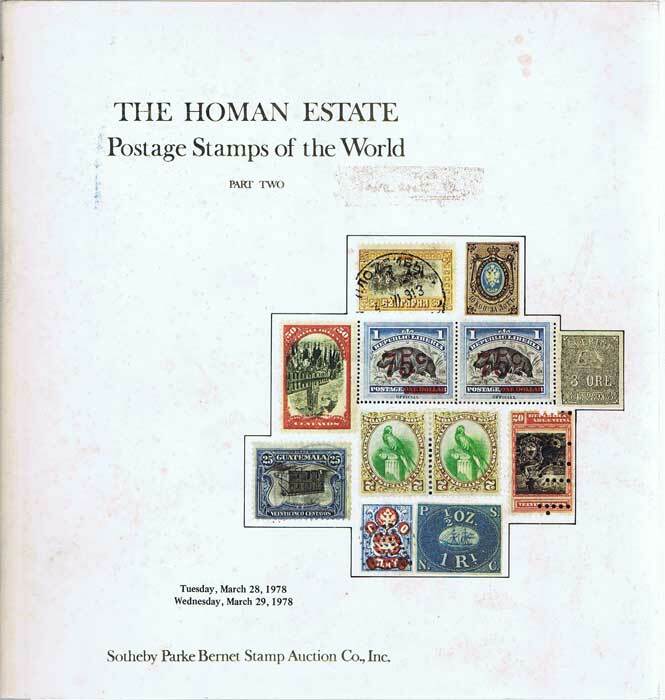 1978 (28-29 Mar) The Homan Estate Postage stamps of the World. 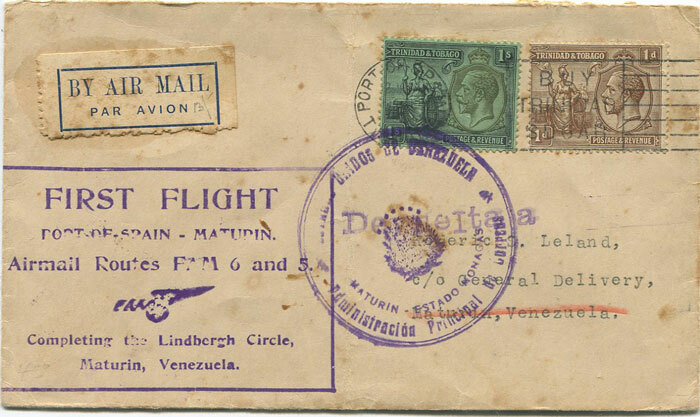 Part Two Sotheby Parke Bernet 105pp + PR. 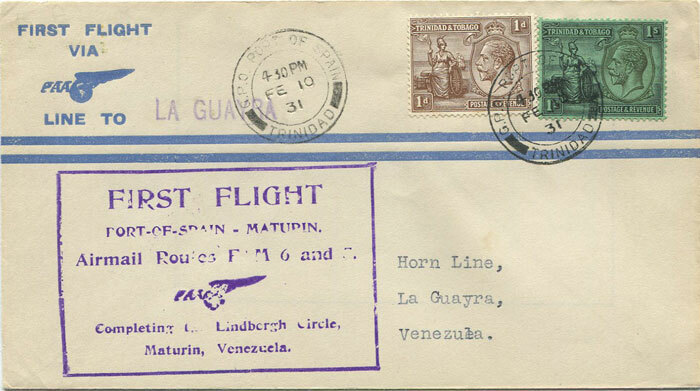 Fine Guatemala and Venezuela. 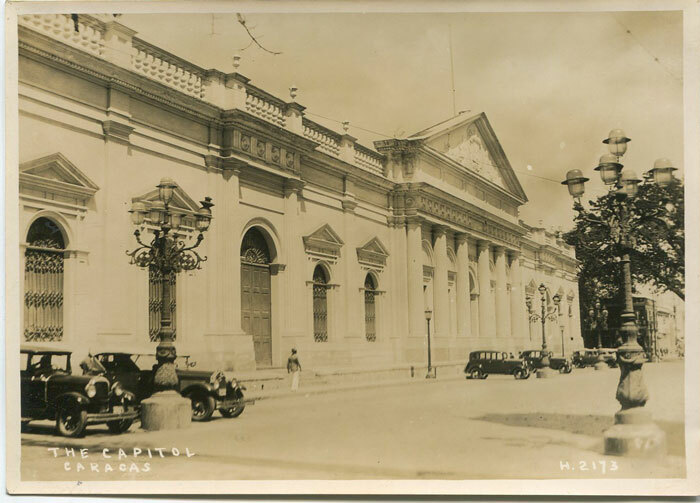 VENEZUELA The Capitol Caracas H2173 1930 (circa) White Star Line Cruise ship actual sepia photograph 6½ x 4½"
ANON The Case of Venezuela: a Reply to the British Blue Book Entitled "Documents and Correspondence Relating to the Question of Boundary Between British Guiana and Venzuela. Washington 1896 271pp + folding map. 1st ed., rebound in later black library cloth. 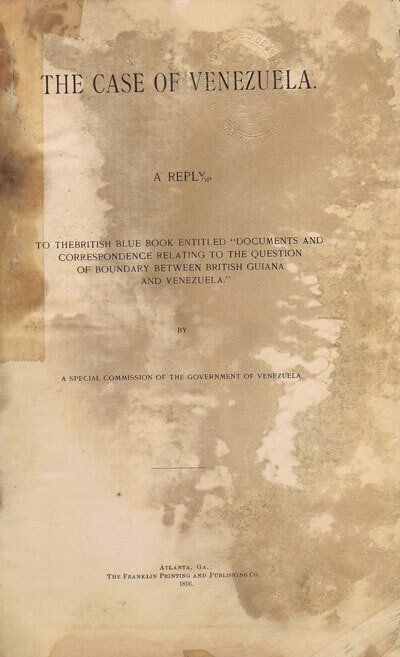 Title page damaged and repaired and first few pages browned otherwise clean.